Tuscany is a region in the north western corner of central Italy known for its spectacular landscapes and giving birth to the Renaissance. When it comes to wine Tuscany is home to many different blends but sangiovese is king; Being the predominate grape in Brunello and Chianti you can’t drink wine in Tuscany without it. 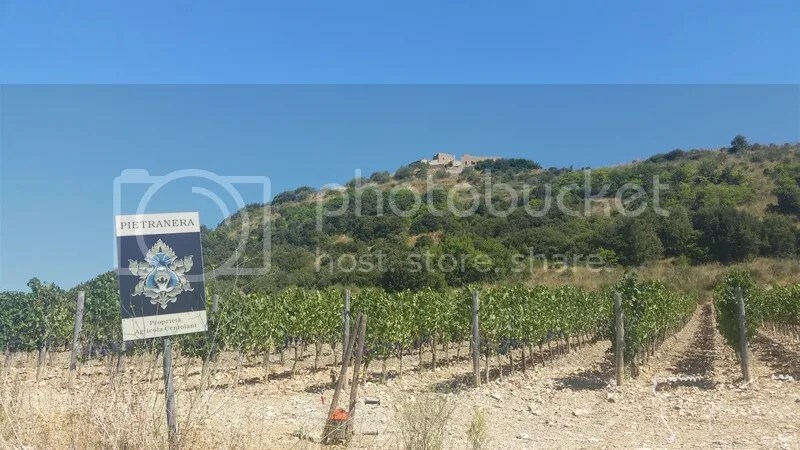 Pietranera and Donna Olga are both part of a larger wine producing company known as Tenuta Friggiali owned and operated by the Peluso Centolani family. 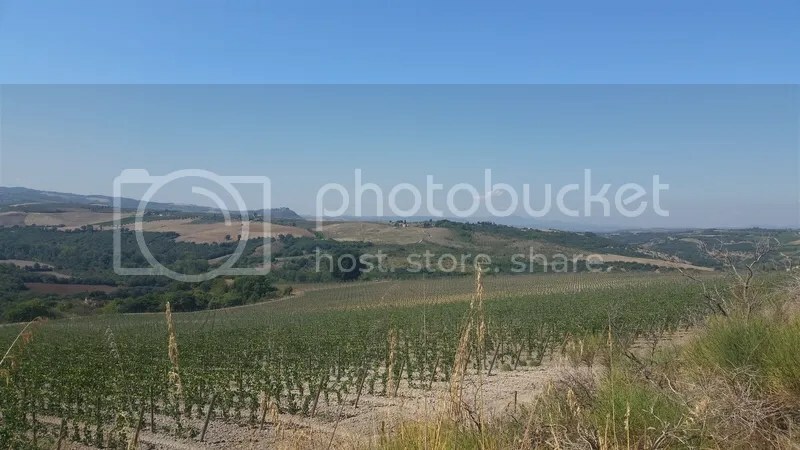 The vineyards are beautiful and located in the heart of Montalcino. We were guided through the vineyards, production rooms, and cellar by a representative of the family’s. Although they offer a little more hands off approach when it comes to visitors the Peluso Centolani family produces fantastic wines from their multiple vineyards. Carpineta Fontalpino gets its name from two very historical locations in the area of Montaperti where the winery is located (Carpineta and Fontalpino). The Cresti family has owned and operated the vineyards at Carpineta Fontalpino since the 1960’s, now run by Gioia and Filippo Cresti. We arrived at the estate a little later in the evening and Gioia who serves as the wine maker, gave us a quick tour of their facilities before we lost the light. One things is very clear when visiting Carpineta Fontalpino, the facilities may be small but the wines made there are big. This is thanks to Gioia who is a true artisan in the wine making world. Her small production and attention to detail make wines that are overflowing with expression, much like herself. We spent the evening on the terrace enjoying a large array of meats the family had prepared for us and basking in the beauty you can only find beneath a blanket of stars and full moon in the charming lands of Tuscany. 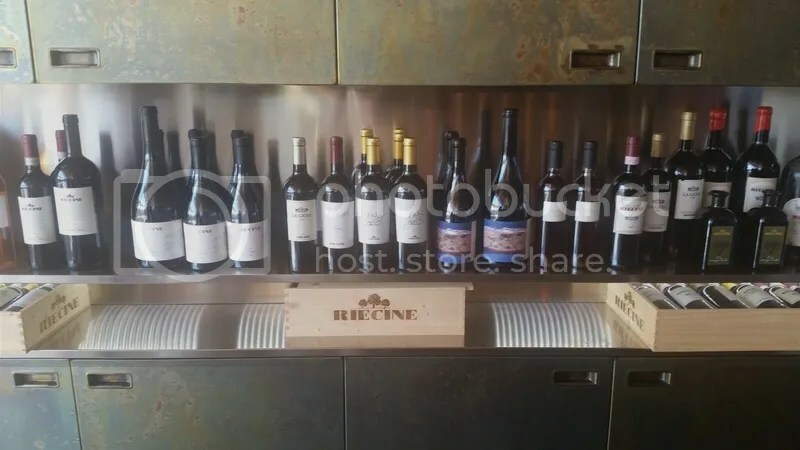 Recine is found in the heart of Tuscany in a small town known as Gaiole. The land it sits on today dates back to 1112 A.D. when it was owned by a local monastery. The original 1.5 hectares were purchased from the monastery now known as Badia a Coltibuono in 1971 by John Dunkley and wife Palamina. They released their first vintage of Chianti Classico in 1973 which received instant praise from the wine community putting Recine almost instantaneously on the map. Although no longer owned by John and his wife Recines wines are still very good, continuing the original winemaking philosophy of only using 100% sangiovese in the production of its Chianti’s. Their current releases drink very well but the true gems of Recine for me are the older library vintages of the Chianti Classico Rerserva which are now exuding the terroir that makes Chiantti so great. 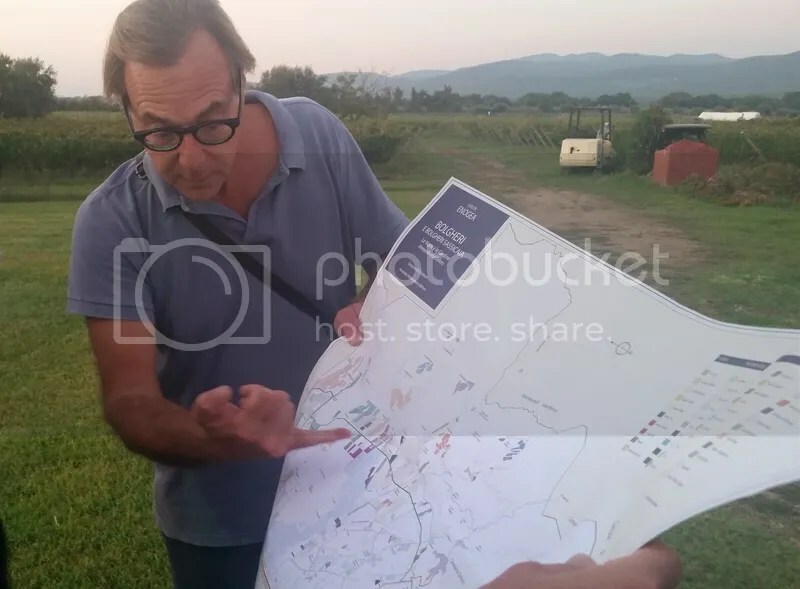 Podere Sapaio was started in 1999 when Massimo Piccin bought his first small piece of land in Bolgheri. His goal was to create a site that could be used to experiment with the Bordeaux-esc “super Tuscan” wines the area has become known for. Over the years he has expanded his originally small plot of land and now creates blends with tradition French grapes that rival any of those the bigger houses in the area can produce. Massimo wears his heart on his sleeve holding nothing back and his wines mirror that personality trait flawlessly. Massimo like Gioia has an amazing personality bubbling over with energy. They both don’t just create great wines but wines that express the very heart and soul of Tuscany. Next Post From Vine to Glass; How Wine is Made.